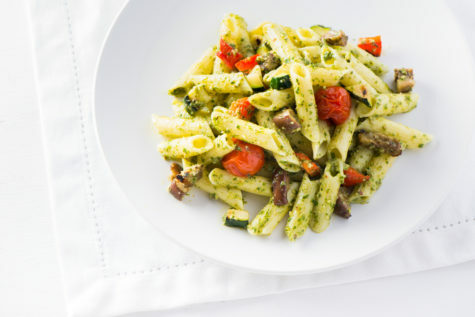 We really want to share the recipe for this delicious dish made with our favourite gluten-free pasta. But first, we have some exciting news to share! If you’ve been following Gluten Free Garage for the past seven years or if you’ve been to any of our pop-up gluten-free markets in that time, you know that our go-to pasta is Italpasta. It’s the pasta we use at home and it’s the pasta we showcase at Gluten Free Garage because it’s the best gluten-free dry pasta out there. And, rest assured, we’ve tried them all! Made from a blend of four different grains—corn (non-GMO), rice, buckwheat and quinoa—Italpasta gluten-free pasta is just like “regular” pasta when it comes to taste and texture. It’s flavourful; it has the right amount of chewiness (not goopy or mushy like rice pasta can be and not tough like corn pasta can be); it holds its shape and it holds on to the sauce. To top it off, Italpasta GF pasta is certified gluten free by the Gluten Free Certification Program endorsed by the Canadian Celiac Association, so it’s 100% safe for my older daughter and other people with celiac disease! Also, besides being gluten free, it’s also free from dairy and eggs. So now for our exciting news: Italpasta will be back at Gluten Free Garage this year as our lead sponsor! On May 26th at Artscape Wychwood Barns, they’ll be sampling two different kinds of pasta—one veg, one meat—so there will be something for all you g-free pasta lovers! Place half of the toasted walnuts in a mini food processor and pulse until finely chopped. Add the ricotta and pulse again until smooth and set aside. Bring a small pot of salted water to boil and cook the fusilli until just under al dente, following package instructions. Reserve 3/8 cup (90 ml) of pasta water, then drain. In a medium-sized skillet, add olive oil, garlic and thyme and sauté on medium heat for 1 minute or until garlic and thyme are fragrant. Add the walnut and ricotta mixture, salt and 3/4 of the pasta water and bring to a simmer to heat through. Add cooked pasta, Parmesan cheese and lemon zest, and toss well to coat. Next add the lemon juice and peas, toss and simmer for a couple of minutes until peas are heated through, adding more pasta water if needed to thin out sauce. Roughly chop remaining toasted walnuts and sprinkle over pasta. Serve immediately, garnished with chopped parsley. Posted in Event info, GFG sponsor!, GFG updates, Products we ❤, Recipes we ❤, Tummy love. Got the munchies? We’re not judging. From sweet to savoury, here’s what we’ve been stuffing in our faces. Posted in Bakeries we ❤, Celiac disease, Happiness is..., Products we ❤, Stores we ❤, Tummy love. 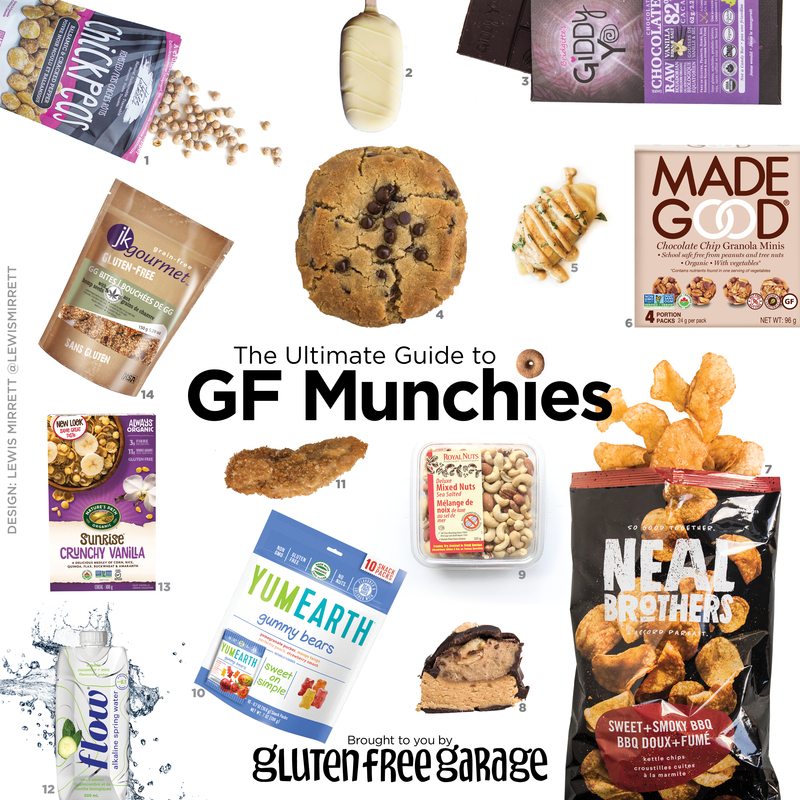 GFF magazine is offering a special 35% discount for a yearly digital subscription to friends of Gluten Free Garage until August 1st! You can use code GFGARAGE to get 4 issues of the magazine, that’s 180+ recipes and much more, for just $14! If you’re a gluten-free food lover and you haven’t seen GFF: Gluten-Free Forever magazine, this is your lucky day! GFF is one of the most beautiful food magazines I’ve ever seen, period. Every issue of this gorgeous gluten-free glossy out of California includes more than 45 delicious and doable recipes (many of which are dairy free, too), stunning photography, great product reviews (some of the products aren’t available in Canada) and destination guides to make travel easier (the upcoming summer issue includes a GF guide to Toronto by yours truly!). When the print edition of this quarterly magazine gets delivered to my house—always with a mouthwatering image on the cover, be it a burger or chicken or chocolate cake (yes, judge it by its cover! )—at first I devour it, flipping through the pages to see what’s in store (always starting with the last page, a habit of mine with any magazine). And then I savour it, taking time to read each article and recipe (and folding down the corners of the ones I want to make). I’ve collected every issue since the first one, which came out in the fall of 2014, and I will pass them on to my daughter when she sets out on her own one day. 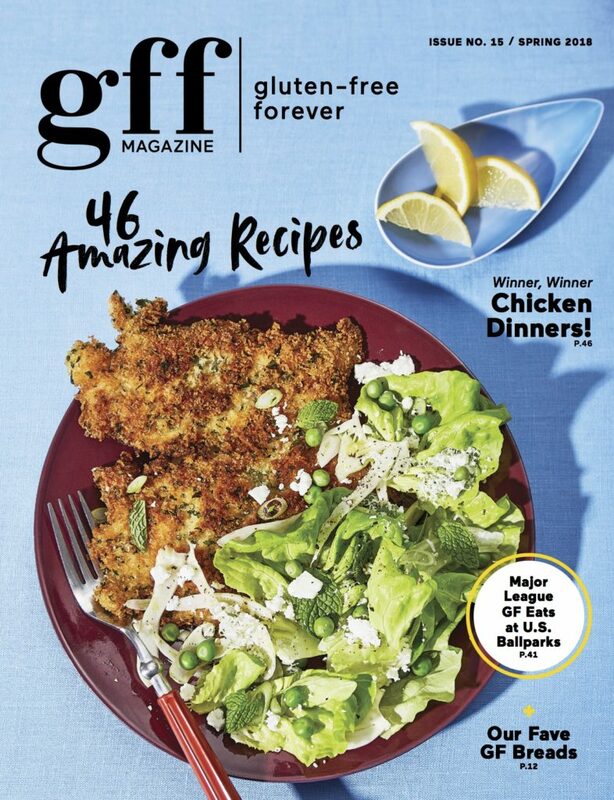 I want to thank GFF editor-in-chief Erika Lenkert for giving people who live a gluten-free lifestyle the sublime foodie magazine that they deserve! For a taste of GFF, check them out on Instagram: @gffmag. And for a taste of something delicious, see the recipe below from the spring 2018 issue. Tis the season for rhubarb! 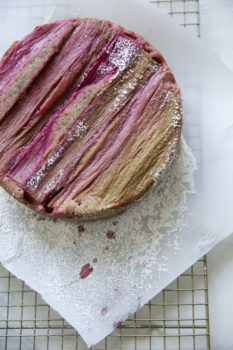 This cake is so beautiful, it needs no embellishment. The same is true for the taste—the combo of sour, creamy rhubarb and moist, slightly sweet olive-oil cake is nothing short of thrilling. Preheat oven to 350°F. Cut a circle of parchment paper 8 inches in diameter. Lay out the rhubarb stalks parallel to each other over the parchment circle, then cut them so they fit just inside the circle, reserving any excess rhubarb. Grease an 8-inch cake pan with butter, line the bottom of the cake pan with the parchment circle, and grease it also. Sprinkle the 2 tbsp sugar on the bottom and sides of the cake pan. In a large bowl, mix together the brown rice flour, almond flour, baking powder, baking soda, salt and lemon zest. In a medium bowl, whisk together the remaining ¾ cup sugar, eggs, vanilla, olive oil and the reserved rhubarb puree. Pour the wet ingredients over the dry ingredients and whisk to combine. Pour the batter over the rhubarb in the cake pan and spread evenly. Bake until a toothpick inserted into the center comes out clean, 50 to 55 minutes. Cool in the pan for 15 minutes, then invert onto a cooling rack. Transfer to a cake plate, bottom side up, dust with powdered sugar and serve. Posted in Blogs we ❤, Products we ❤, Special offer, Tummy love. but this year’s Gluten Free Garage was truly the best! We couldn’t have done it without our super sponsors. 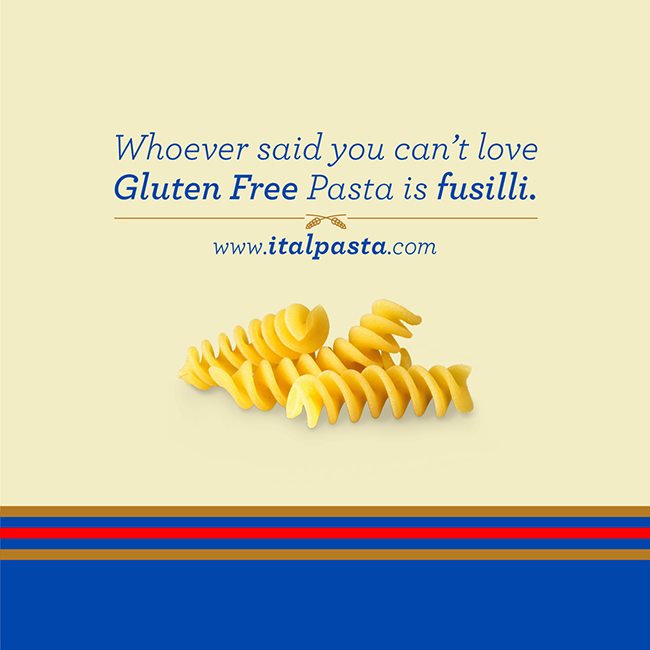 Our lead sponsor Italpasta—hands down the best gluten-free pasta on the market! A GFG sponsor since 2013, this year not only were they a platinum sponsor and brought three different kinds of their GF pasta for guests to sample, they also sponsored our speaker session “Say Ciao to Boring Bowls of Pasta” with food stylist Irene Matys. Longtime GFG sponsor Neal Brothers Foods—these snack kings have been with us since our very first pop-up in 2012 and they always bring the best gluten-free munchies! Be sure to check out their new bangin’ branding! The official grocer of Gluten Free Garage, Fiesta Farms—this family-owned, independent gem of a grocery store has its finger on the gluten-free pulse! They stock so many high-quality gluten-free products, not to mention the best locally produced, organic produce! First-time GFG sponsors The Burger’s Priest and Keto Buns—if you had a burger at GFG, you’ll know these two are a match made in heaven! If you missed out, you can indulge at any Burger’s Priest location. (Note: The chicken burger and veggie option are not gluten free.) And the fries are gluten free, too! Just straight-up Yukon golds with salt! Flow Alkaline Spring Water for keeping us all from melting! Everyone was in the flow at GFG! The Canadian Celiac Association and the Gluten-Free Certification Program— the work of these GFG sponsors and community partners is truly invaluable to people with celiac disease and the gluten-free community. Thank you for advocating on behalf of people with celiac disease and gluten intolerance! That’s a wrap for #GFG18! See you next year! Posted in Event info, GFG sponsor!, Products we ❤, Restaurants we ❤, Stores we ❤, Tummy love. 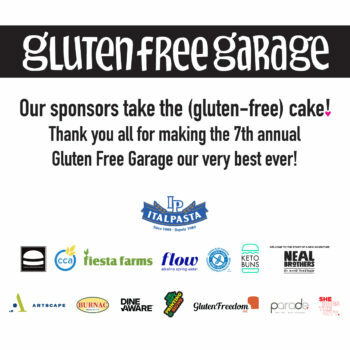 We are just days away from our favourite event in the city—Gluten Free Garage! And we couldn’t be happier to be supporting the GFG team again this year. If you have attended Gluten Free Garage in the past, you know that our booth is BUSY—and that we’ve run out of plates two years in a row :/ Embarrassing, we know, but it just means that our #glutenfreepastalovers can’t get enough of our gluten-free pasta samples! This year, we’re dialing it up a notch. We’ll be sampling THREE different recipes: Penne with Basil Tomato Sauce, our Ultimate Vegan Gluten Free Pasta Salad, and a Vegetarian Lasagna using our new Oven Ready Gluten Free Lasagne. But that’s not all! We’re also sponsoring a GFG speaker session with the very talented Irene Matys, a local farm-to-table advocate and freelance food stylist who is a regular on The Marilyn Denis Show. Check out her mouth-watering Instagram account @TheSpicyOlive1 and look at the gorgeous farm-to-table Kale, Basil Pesto and Zucchini Gluten Free Lasagna that she created for Gluten Free Garage! 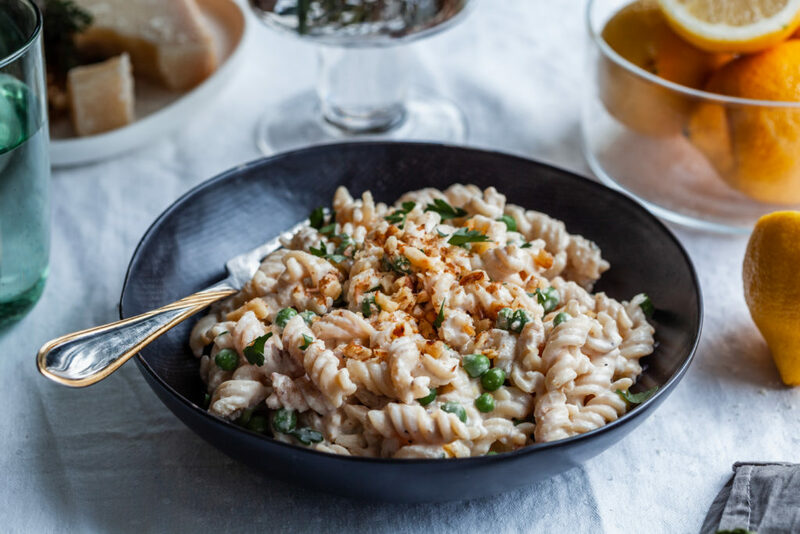 If you think that looks good, Irene is going to show 50 lucky GFG attendees how to take their gluten-free pasta dishes from ordinary to extraordinary with a few tips and tricks. You won’t want to miss her “Say Ciao to Boring Bowls of Pasta” presentation on Sunday May 27th at 12 noon! Everyone who attends will receive a gift bag with Italpasta gluten-free pasta samples to try their hand at saying ciao to boring bowls of pasta! Line up about 15 minutes early outside of the Wychwood Barns Community Gallery—it’s first come, first served. 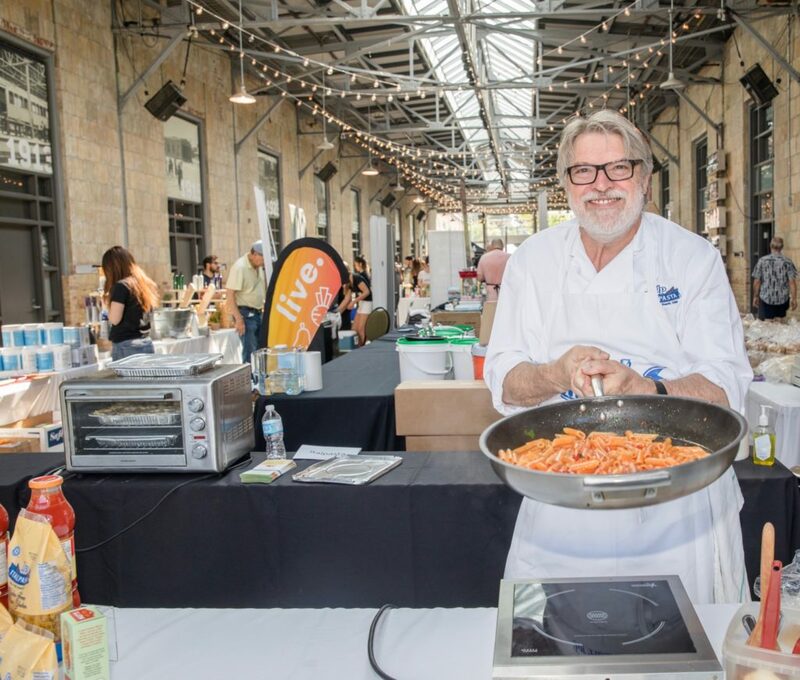 We can’t wait to see our gluten-free pasta lovers at the 2018 Gluten Free Garage! Irene Matys will show you how to take your pasta to the next level! Posted in Event info, GFG speaker!, GFG sponsor!, GFG updates, Guest blog, Happiness is..., Products we ❤, Recipes we ❤, Tummy love.